Our sister site, OBD2Cables.com, is the largest supplier of OBD-II and OBD-I cables and connectors in the world. We deliver quality molded cables at the lowest prices in the industry. We have thousands of standard OBD cables in stock, so whether you’re a product engineer or an electronics hobbyist, chances are, we have your OBD cable. No order is too big or too small. 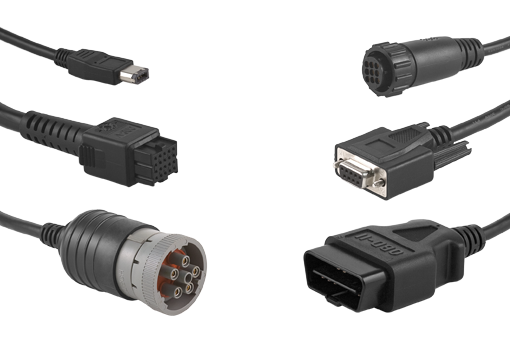 We feature a wide matrix of connectors including J1962, J1939, J1708, DB-9, OBD-1 along with open ended. We also offer breakout boxes for testing and signal enhancement, OBD-II-specific die sets, and pin crimpers. If you can’t find what you’re looking for, as the world’s top OBD cable manufacturer, we can design and deliver custom cables quickly. Check out our custom cable page for more information, or contact us today for a quotation.